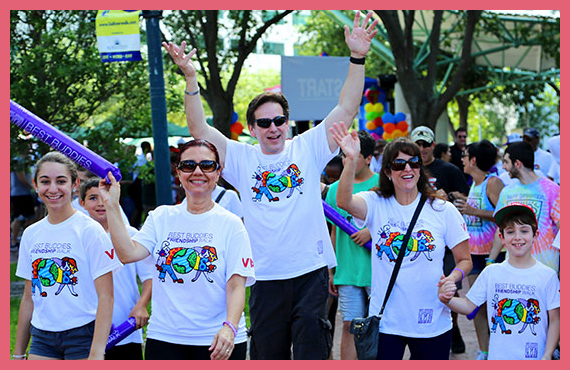 We are honored to support the upcoming 2014 Best Buddies Friendship Walk on April 26, 2014 in Fort Lauderdale, Florida. “The Friendship Walk is the latest and greatest life-changing movement created by Best Buddies. Since 2009, more than 40,000 participants have walked in over 22 states, and raised over 3 million dollars for Best Buddies. Ultimately, the Friendship Walk changes lives, as participants walk for inclusion, friendship, leadership, and opportunity for people with and without Intellectual and Developmental Disabilities (IDD). Over the years, our walks have made a profound impact in communities nationwide, especially for individuals with IDD. Every Friendship Walk promotes an atmosphere for new friendships, promising opportunities, and most of all, inclusion for all people. This is where you can make a difference! You can make new friends, create opportunity, and promote community inclusion simply by participating in this year’s Friendship Walk. Walk for inclusion. Walk for friendship. Walk for a better community. There are so many options to support this wonderful organization, including signing up, sponsoring a walker/runner, donating, or volunteering. Oliver-Pyatt Centers will be supporting our team member, Gabriella – you can support her here! Click here to find Best Buddies in your area.